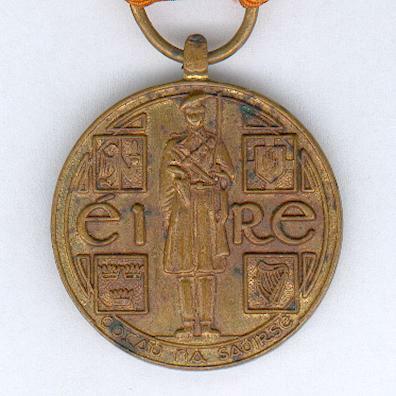 Circular bronze medal with loop for ribbon suspension; the face with the full-length full-face figure of a Volunteer of the Flying Column in typical 1917-1921 outfit, the word ‘éire’ in Gaelic script centrally, two letters to either side, the arms of Munster, Ulster, Connacht and Leinster upper left, upper right, lower left and lower right respectively, inscribed at the base ‘CODAGH NA SAOIRSE’ (The Struggle for Independence) in Gaelic script; the reverse dated ‘1921-1971’, a palm leaf to the left; on original ribbon with decorated bronze suspension bar with pin to the reverse for wear. 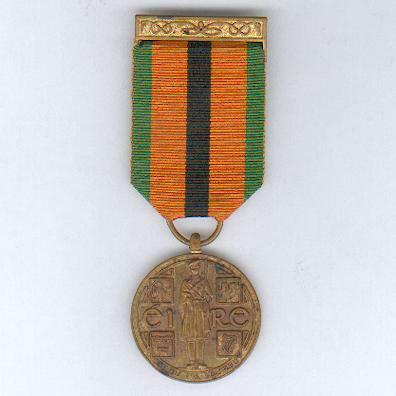 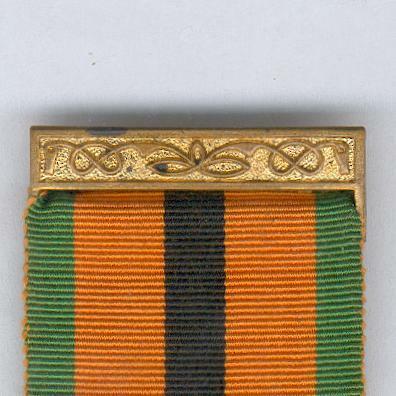 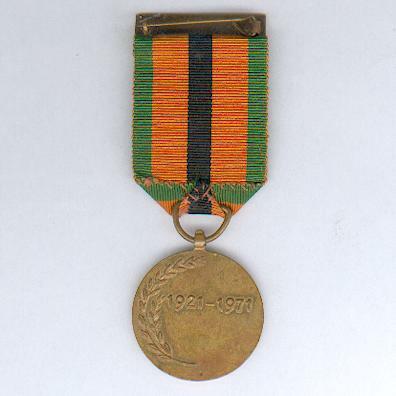 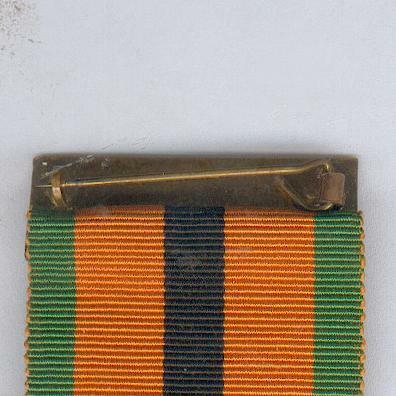 The Medal was instituted in 1971 to mark the fiftieth anniversary of the end of the War of Independence and was awarded to all those then living who had received the 1917 to 1921 Service Medal by reason of being active combatants or members of Oglaigh na hEireann (Irish Republican Army), Fianna Eireann, Cumann na mBan or the Irish Citizen Army for the three months ended on the 11th of July 1921. 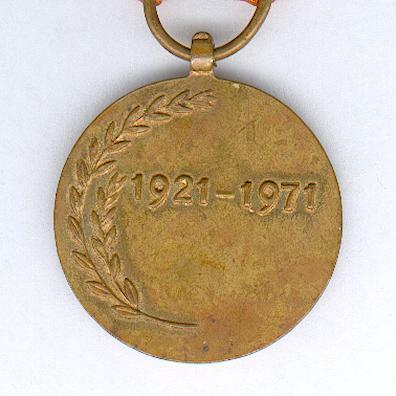 The number of surviving participants was relatively small and the Medal is quite rare.